[toc]White spots on the skin are seen in a condition called as vitiligo. These white patches can be seen on the skin of face, hands, and legs, around the mouth or eyes. Vitiligo generally occurs due to non-functioning melanin cells in the skin. 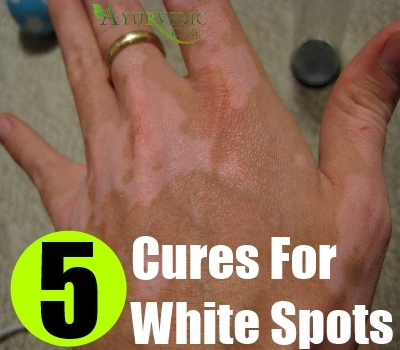 Due to lack of melanin, the skin develops white patches which are ugly in appearance. Other causes for white patches can be because of certain thyroid gland malfunctions, deficiency of vitamin B12, stress, exposure to UV rays of the sun or due to hereditary causes. 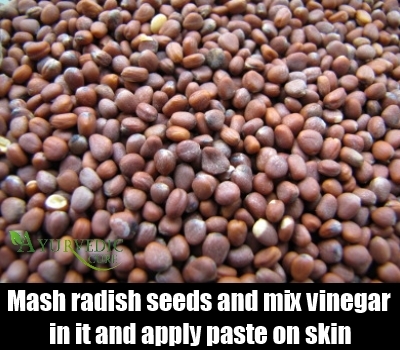 Seeds of radish are known to effectively remove white patches from the skin. Take about 25 grams of radish seeds or if the seeds aren’t available, you can use radish leaves. Mash the leaves or seeds into powdered form and mix some vinegar with it to make it into a paste. 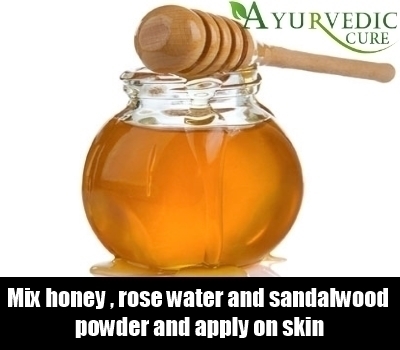 Leave this mixture overnight and in the morning apply it on your face for about 30 minutes. If you follow this treatment daily, you will notice the change in your skin tone within a month. It is another effective method to treat skin problems. 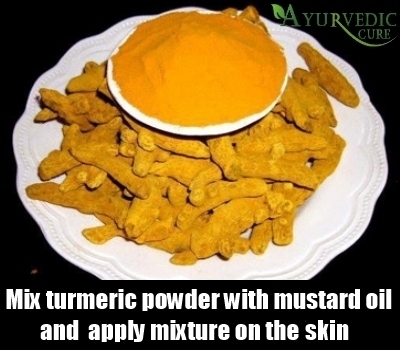 Take some turmeric powder and mix it with mustard oil. Apply this mix on your face and leave it on for 15 to 20 minutes and then wash it with cold water. You could also try mixing some neem powder into it to fight off any skin infection. All these ingredients are antiseptic in nature and protect the skin as well as increase the melanin production. Cabbage leaves are quite useful to even down the skin tone in vitiligo effected individuals. 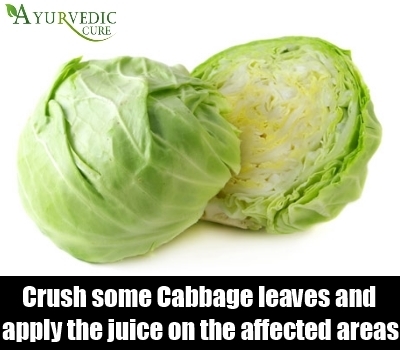 You could crush some cabbage leaves and apply the juice on the affected areas and leave it on for 15 minutes. Rinse it off with lukewarm water. You can also boil some cabbage leaves and use the water to wash your face daily. Along with this, you should also increase the cabbage content in your diet because it is very beneficial in the treatment for white patches. Ginger can either be consumed as a juice or can be applied in the raw form on your face to improve the condition. Crush some fresh ginger and mix lime juice with it. Drink this mixture twice daily. Ginger helps to improve the circulation of the blood to the skin. You can also apply some fresh ginger to the white areas of your skin for direct action. Honey is greatly beneficial in treating many skin conditions including vitiligo. Mix it with some turmeric powder, rose water and sandalwood powder and you can apply it as a face mask on the affected areas. Leave it on for 30 minutes and wash with lukewarm water. Honey helps to improve skin tone and complexion of the skin. It has antifungal properties so it can also kill any affecting bacteria on your skin.